Here’s the last drop for today. A decent sized batch of Mk.II Atomic Ray Guns in Blasted Ti. As with the Mk.I’s from earlier, these will make a great match to most EDC gear and the high spots/edges will polish up nicely over time, riding along in your pocket or on your keychain, etc. The Mk.II with its finned tail is a classic Ray Gun Division design, and a favorite of many. 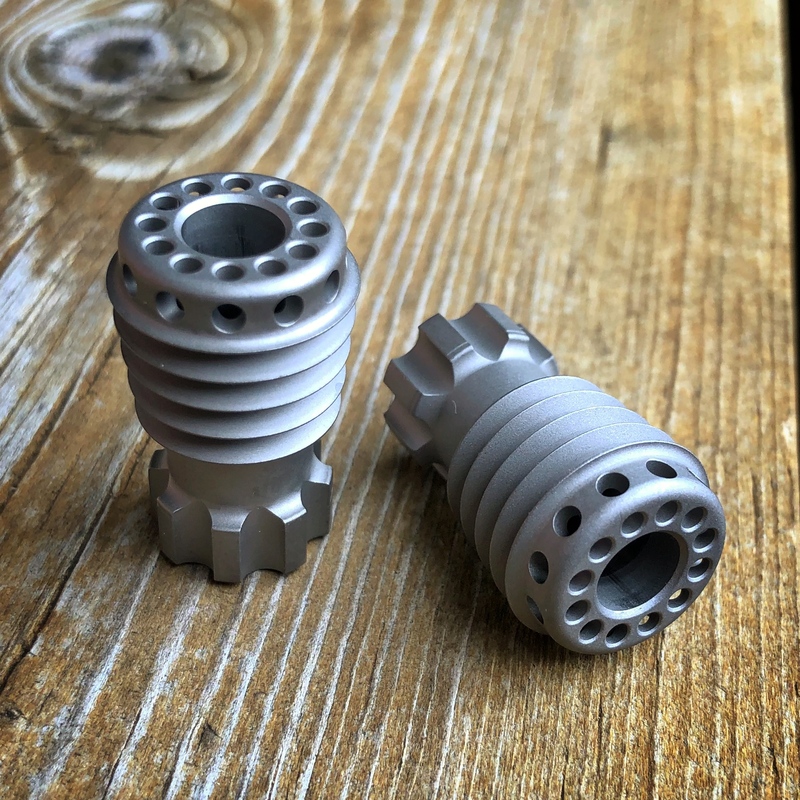 Mk.II Atomic Ray Guns in raw, Blasted Titanium are $95 each, shipped to US addresses. US buyers can purchase using the PayPal “Buy Now” button below. Buyers outside the US can hit the PayPal button to purchase and then contact me for a USPS Priority shipping quote at mark@raygundivision.com – Typically this ends up being an additional $15-30 due to Priority International cost, depending on location. Please Note: Shipment outside the US via any method other than tracked Priority or Express is at the buyer’s risk.